This past weekend was opening weekend for KC Elite teams age groups 16’s-13’s and the boys came out playing some good baseball. Of the 6 different teams that started their seasons we had 2 teams(16U White &13 AAA Silver) make it to the semi-finals,1 team (14U Major Blue) lose in the championship game and another team (15U Gold) win the championship. KC Elite not only wants to recognize these teams that had success but all of our teams that went out this past weekend and played hard and represented their families and KC Elite with good sportsmanship and class. 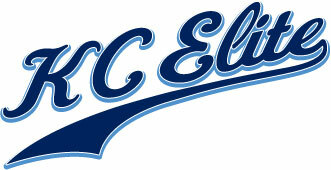 The KC Elite coaching staff and organization is proud of you guys and look forward to an even better 2nd weekend. Keep up the good work players and parents.